I have bought 4 dream cars and they have all been purchased from Brown Motors. I tell Jim what I want and he finds it. There is never any pressure and I am always so happy with the "Deal" that I promise never to shop elsewhere. It's kinda like your favorite hairdresser and you KNOW how important that is! Thank you Jim and Mario for always making my dreams come true. I am a forever customer. As owners of several new and used cars throughout the years, I must say this was by far one of the easiest buying experiences. We walked away feeling like we got such a great deal on a very unique car. Jim and Mario really went out if their way to make sure we felt good about the deal and were quick to schedule and complete a few follow-up fixes. We will definitely look here first when we're in the market for our next car or toy! If u are in the market for an enclosed trailer...big small or in between. Go to Brown Motorcars in Des Moines and have Mario show u the difference between an All Aluminum Legend trailer versus the competition. I purchased a Legend to serve as a lawncare trailer. So far I love it and customers are already commenting on how nice it looks. The guys at Browns are top notch...fair, knowlegable and motivated. 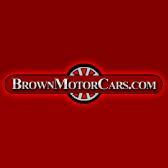 At Brown Motor Cars, we work hard providing the largest selection of pre-owned vehicles, at prices our customers can afford. We carry both domestic and imported pre-owned vehicles, from the classic and hard-to-find to the most popular models around. Our inventory changes several times a week as we bring you bigger and better deals on pre-owned cars and trucks. To service our customers better, we've invested in the technology to keep our online inventory listing current. 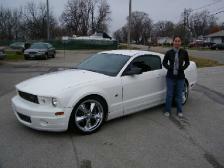 We list hundreds of used cars at any given time and update our online inventory listing daily. You can search our inventory – online –by make, model, year and price. We'll provide you everything you need to know about our used cars. Through our online system you can see everything from the used cars' pictures, to the number of miles, transmission type, exterior and interior colors, features, price and any warranties and certifications. If you can't find the used car you want already in our inventory, give us a call. 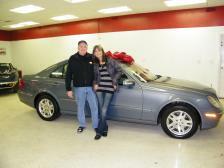 We have access to an extensive network of used cars throughout the state of Iowa and beyond. We'll find just the used car you're looking for. We're here to help you find the best and most affordable used car around!